Preheat your oven to 450 degrees Fahrenheit, put the rack in the top third position. 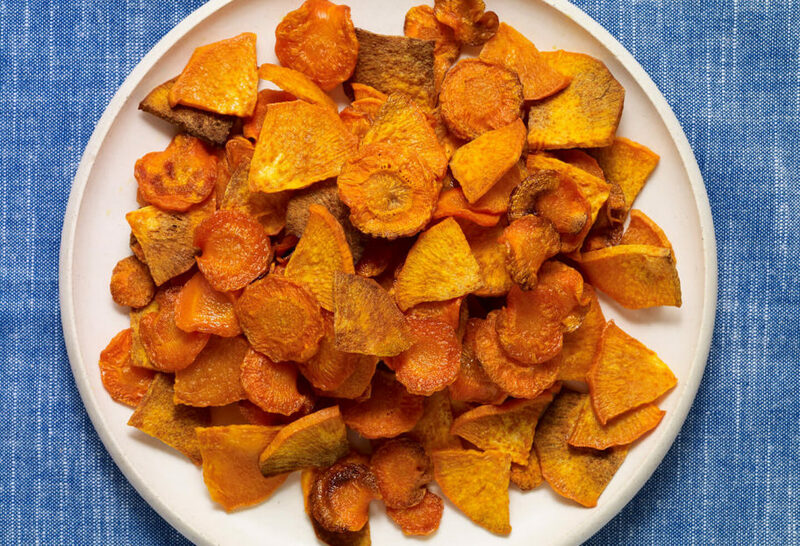 Place carrots and sweet potatoes on baking sheet and toss with oil, salt and chiles. Spread into a single layer and roast for 15-20 minutes until crisply and lightly browned, turning vegetables halfway through. Sprinkle with more salt to taste if needed. Serve right away.